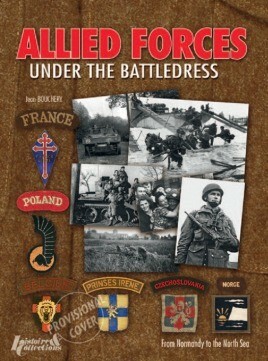 This is the third volume of the vast trilogy devoted to the Allied troops under the Anglo-Canadian command of the 21st Army Group. Unfortunately, due to sales rights restrictions, we cannot offer Allied Forces Under the Battledress for sale in your country. The aim of this book is to discover the distinguishing features of those volunteers who donned British battledress: Belgians, Luxemburgers, Frenchmen, Dutchmen, Poles, Norwegians, Czechs and Danes and who were engaged from the Normandy beaches to well into the heart of the Reich. It is intended for all sorts of amateurs of history: collectors, model-makers, historians and reconstruction groups.